The leader of Bahrain’s main Shia opposition group Al-Wefaq has been detained for interrogation over comments made during a religious sermon. The move has sparked an anti-government rally, with supporters demanding his release. 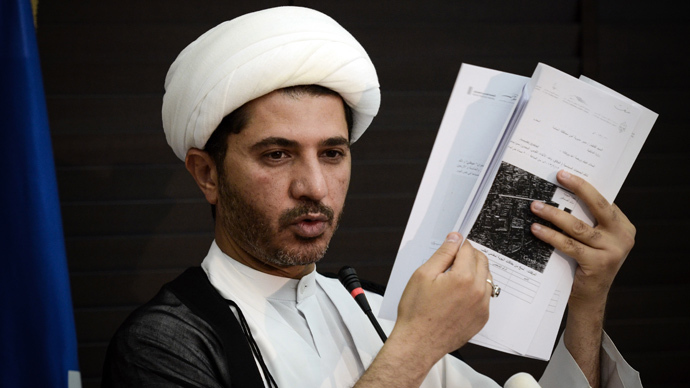 "Al Wefaq National Islamic Society said its secretary-general, Sheik Ali Salman, is considered arrested after the series of illegal measures taken to call him in for interrogation at the Criminal investigations Department (CID)," the opposition movement said in a statement on its website. The Gulf kingdom’s Interior Ministry said that Salman had been questioned over comments he made one day earlier in a religious sermon. He has been accused of “inciting hatred” of the government and "promoted rioting and vandalism,” the ministry stated. News of Salman’s arrest has sparked protests against authorities in the Sunni-ruled state. Supporters of the opposition leader gathered outside his home to express anger over the move. Some held pictures of Salman while “demanding his immediate release,” according to a statement from Al-Wefaq. 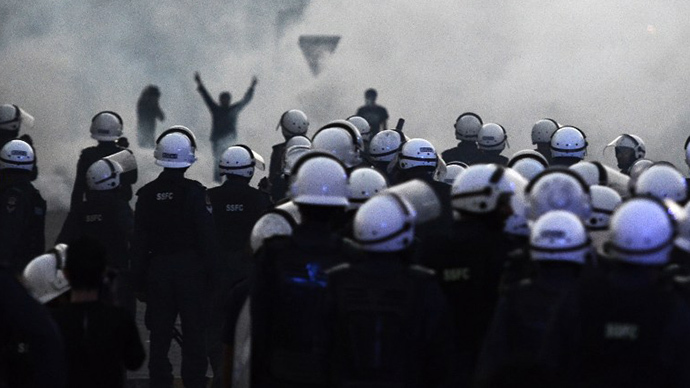 Local police fired tear gas at protesters, Al-Wefaq said on Twitter. Salman’s Saturday arrest is the opposition leader’s second detention in nearly two months. Al-Wefaq, Bahrain’s top opposition group, is demanding democracy and a constitutional monarchy in the country, which is run by the Sunni royal family. 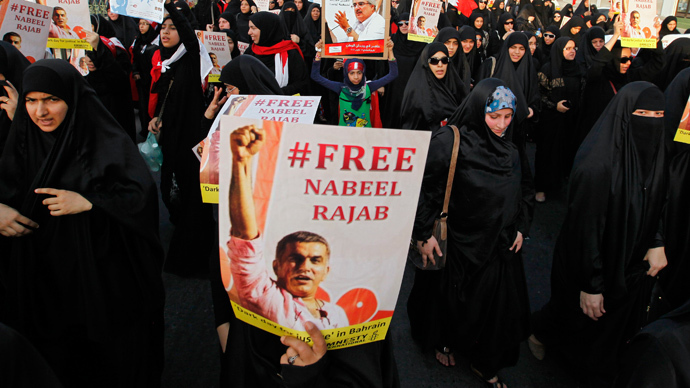 The group initiated protests in 2011, demanding political change and a larger Shia influence in the country led by the Sunni Al-Khalifa dynasty. The group insists that it rejects violence, but Gulf state authorities blame the movement for the unrest which has shaken the country for almost three years. A month-long protest that started in February 2011 was dispersed in mid-March during a deadly crackdown. 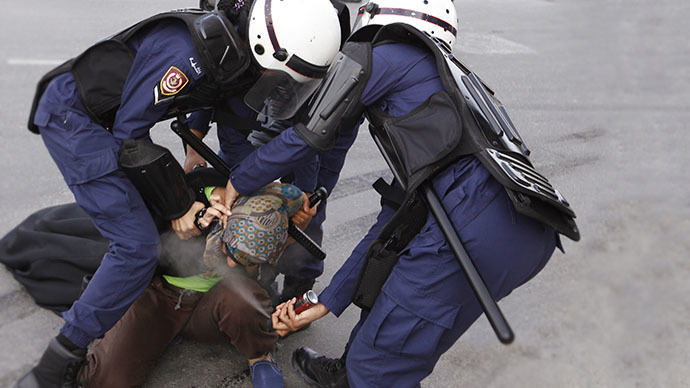 Over 80 people have been killed since the protests began, according to the International Federation for Human Rights. Bahrain is a staunch US ally and home to the US Navy’s Fifth Fleet. The tiny Gulf kingdom is ruled by a Sunni monarchy, although over 75 percent of the population is Shia.